Even if you are not a coffee drinker this cake is great. 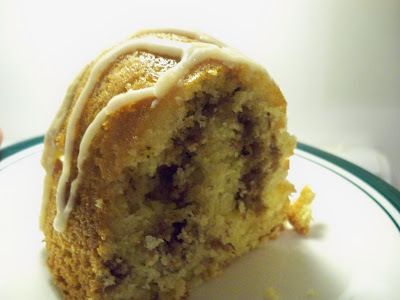 Not only did it turn out pretty and very moist it had a nice spicy and nutty flavor. 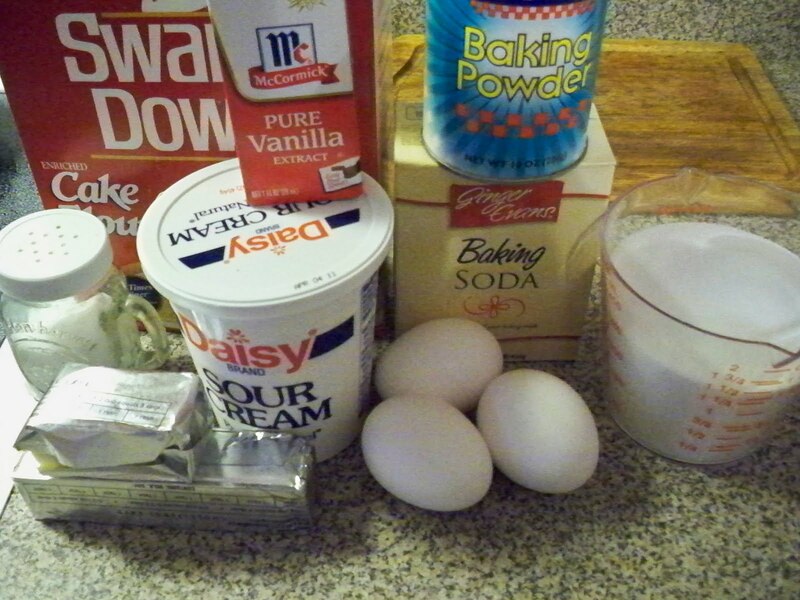 Since we love sweets we think next time we will double the glaze recipe. 1. 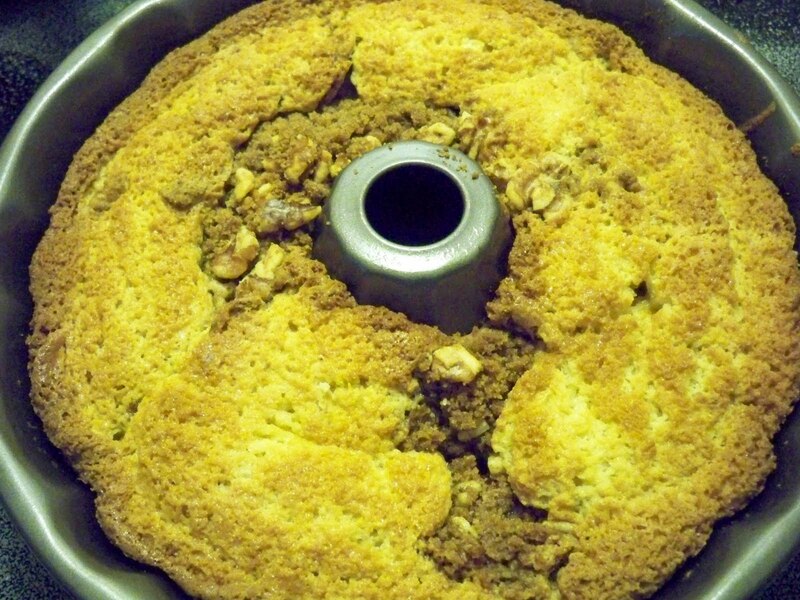 Preheat the oven to 350 degrees F. Grease and flour a 10-inch bundt pan. 2. Cream the butter and sugar in the bowl of an electric mixer fitted with the paddle attachment for 4 to 5 minutes, until light. 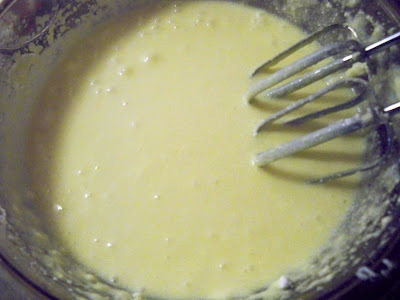 Add the eggs 1 at a time. 3. 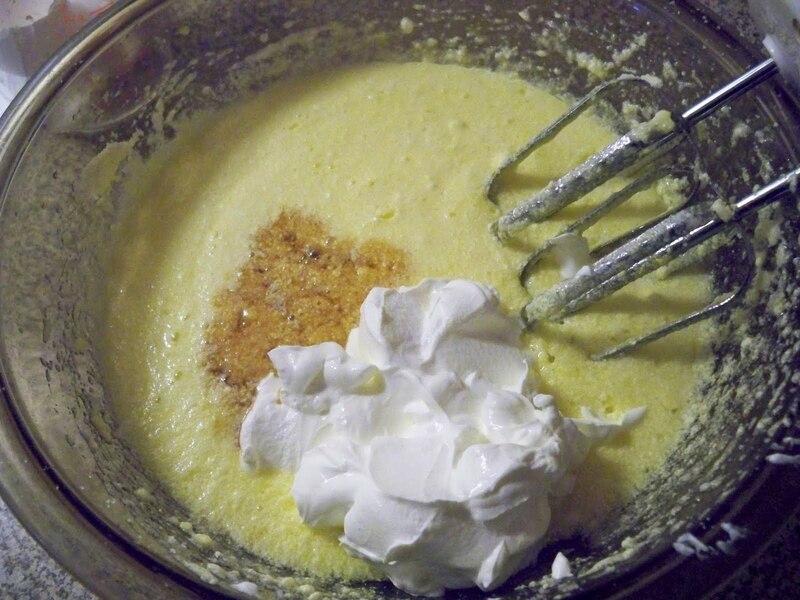 Add the vanilla and sour cream. 4. In a separate bowl, sift together the flour, baking powder, baking soda, and salt. 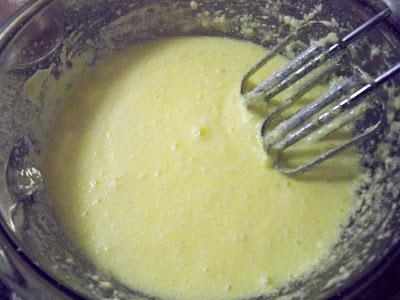 With the mixer on low, add the flour mixture to the batter until just combined. 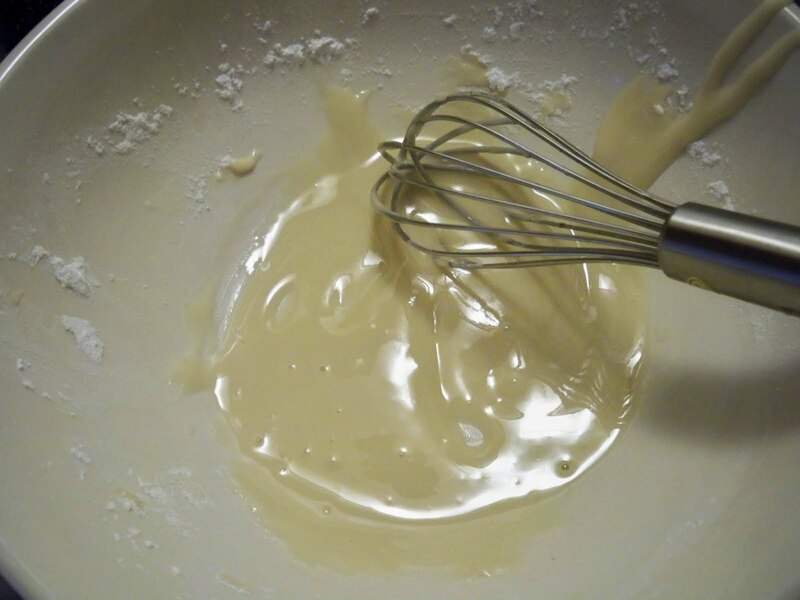 Finish stirring with a spatula to be sure the batter is completely mixed. 5. 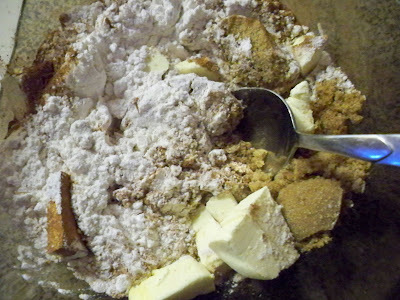 For the streusel, place the brown sugar, flour, cinnamon, salt, and butter in a bowl and pinch together with your fingers until it forms a crumble. Mix in the walnuts, if desired. 6. 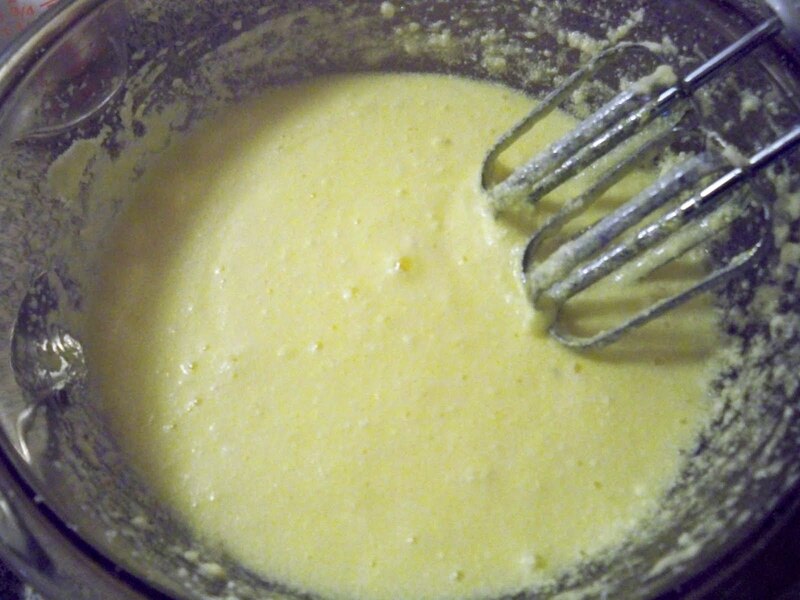 Spoon half the batter into the pan and spread it out with a knife. Sprinkle with 3/4 cup streusel. 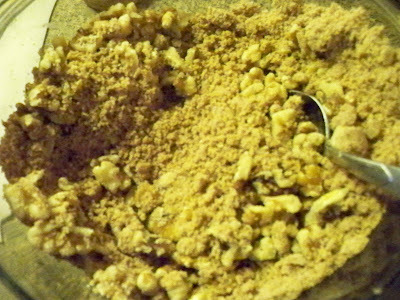 Spoon the rest of the batter in the pan, spread it out, and scatter the remaining streusel on top. 7. 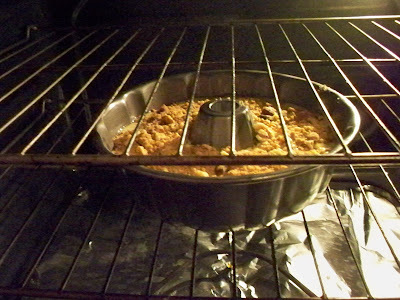 Bake for 50 to 60 minutes, until a cake tester comes out clean. 8. Let cool on a wire rack for at least 30 minutes. Carefully transfer the cake onto a serving plate. It looks so delicious! Thanks for the recipe!